Alabama fans seem pretty content with Nick Saban as the head coach of their football program. It doesn’t look like he’s going anywhere for quite some time either. Alabama head coach Nick Saban has won six national championships – five with the Crimson Tide. Before it’s all said and done, he’s likely going to win a few more. It doesn’t look like Saban plans on hanging it up for a long time. ESPN’s Chris Low dropped an interesting piece full of quotes from Saban on Tuesday morning. 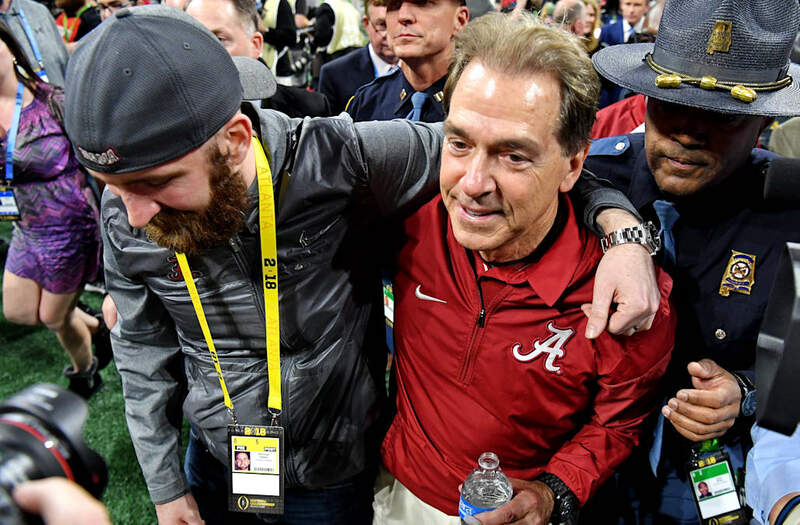 It makes it pretty clear that Saban has no plans on retiring soon – mostly because he’s not sure what he would do with his time. He says he still greatly enjoys coaching, so he has no reason to stop doing it. Saban also made it clear that he won’t keep coaching if his program is going downhill. He says he’s still other coaches do that, and it’s “tarnished” their legacy. Saban has been at Alabama since 2007. He’s won national titles in 2009, 2011, 2012, 2015 and 2017. He also won one at LSU in 2003. Saban is 66 years old, so he’s probably closer to the end of his career than the start. But it isn’t unheard of for coaches (like Joe Paterno) to coach into their 80s. The rest of the SEC probably wishes he’d hang it up. The post Nick Saban Comments On The Idea Of Retirement appeared first on The Spun.